We are looking forward to seeing everyone for another great summer. 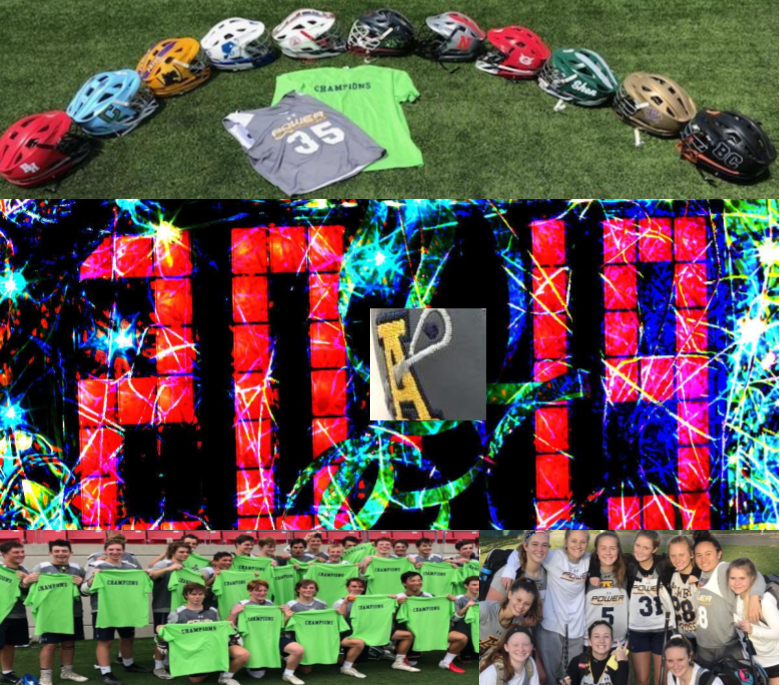 Registration is now open for the 2019 Albany Power Lacrosse season for both boys and girl's programs. Please follow the link below to complete registration and submit deposit. Once you have completed registration, you will be forwarded the payment link. most competitive tournaments on the east coast. There is an additional $60 Tryout fee due at the first tryout. This fee covers the cost of additional coaches and field time. This fee can be paid by cash or check (made out to Albany Power Lacrosse) at registration. If you need to make arrangements to pay in a different way, please contact Coach Adamo at fadamo@albanypowerlacrosse.com to individually set up payment. 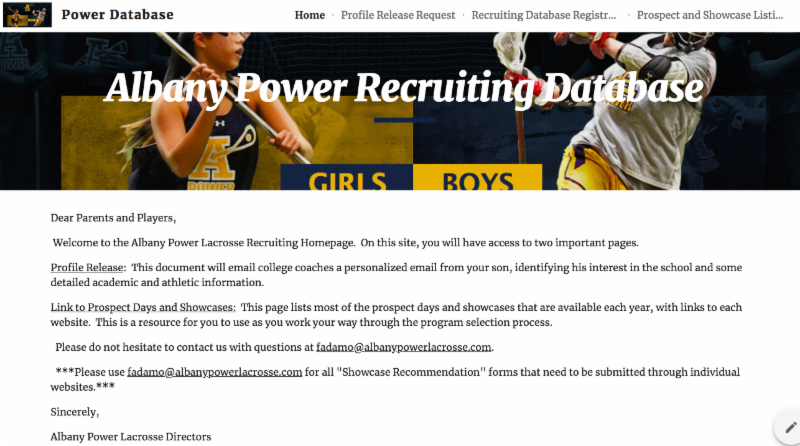 Please contact Coach Adamo at fadamo@albanypowerlacrosse.com with any questions. The Albany Power program is offering two different Sunday programs. Please do not wait to register for this program. It fills quickly, and we regularly have names on our waiting list for this session. The early morning program is for boys in grades 6-8th and runs from 7:30-9:00 am at the Afrim's Sports Dome on route 7 in Latham. Boys 6-8th grade: Sundays 7:30-9AM: Cost $375 (Early Bird Special until 11/4) Players must register and pay Afrim's member fee if not already an Afrim's member. Players who did not participate in Summer or Fall 2018 must purchase a 2018 Pinney. The late morning program is for boys grades 9-12th and runs from 9-10:30 am at the Afrim's Sports Dome on route 7 in Latham. Boys 9-12th grade: Sundays 9:00-10:30AM: Cost $375 (Early Bird Special until 11/4) Players must register and pay Afrim's member fee if not already an Afrim's member. Players who did not participate in Summer or Fall 2018 must purchase a 2018 Pinney. The Albany Power Girls Lacrosse Club will be holding tryouts for the Winter/Summer 2019 Program. - 3 tournaments (included in tuition price)- high visibility recruiting events for high school athletes. Post tryout participants will be notified of team placement. Upon acceptance of this team placement for the Winter/Summer Program, a $300 non-refundable deposit is due to secure a roster spot. Please contact Leslie DeLano (ldelano@albanypowerlacrosse.com) with any questions. ADK Summer League games scheduled on 7/2 have been cancelled as a result of today's weather. We are looking forward to seeing everyone for another great summer. 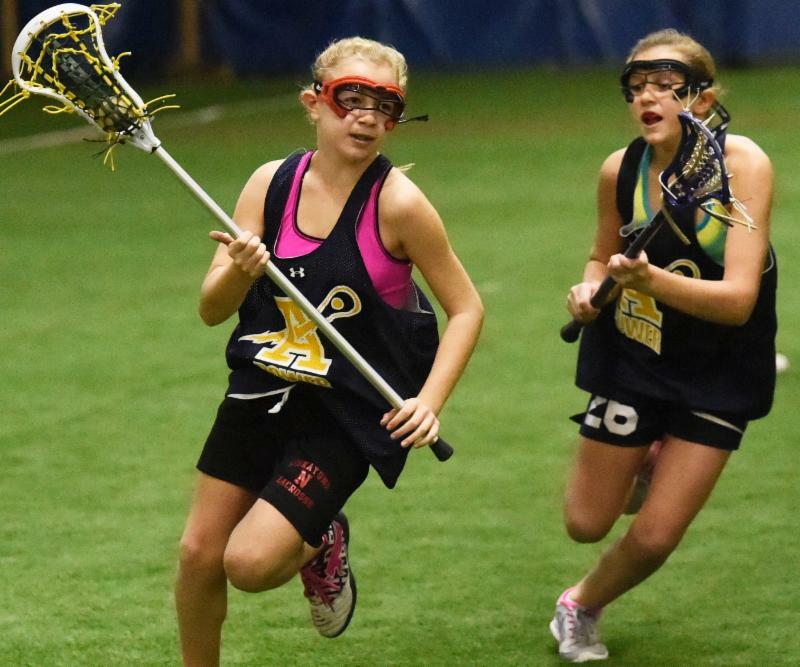 Registration is now open for the 2017 Albany Power Lacrosse season for both boys and girl's programs. Please follow the link below to complete registration and submit deposit. *Your card will be authorized for a deposit of an amount dependent on the program that you are participating in. The second payment for this summer's program will be processed on the day after rosters are posted. The balance will be processed on 7/1. You will be sent an e-receipt that you will need to sign in order to finalize the transaction, and this signature will also serve as as acknowledgement of our, "Assumption of Risk","Release and Grant of Consent" and "First Aid Release". Please register using the link below. After registration, you will be forwarded a payment email to make your first payment of $200. The remaining balance is due on 1/15. Please contact Coach Adamo to make other arrangements or with payment/registration questions. Boys 6-8th grade: Sundays 7:30-9AM: Cost $375 without new pinney, $395 with new pinney. Must register and pay Afrim's member fee if not already an Afrim's member. Boys 9-12th grade: Sundays 9:00-10:30AM: Cost $375 without new pinney, $395 with new pinney. Must register and pay Afrim's member fee if not already an Afrim's member. We are excited to roll out a new timeline and program incentives for our Girls Power Program. Top-notch instruction from high school & college coaches. Attention to individual skill development & team concepts. -Summer tournament schedule facilitates time for athletes to pursue college prospect clinics & camps to compliment the travel team experience. We are looking forward to seeing everyone for another fall season. 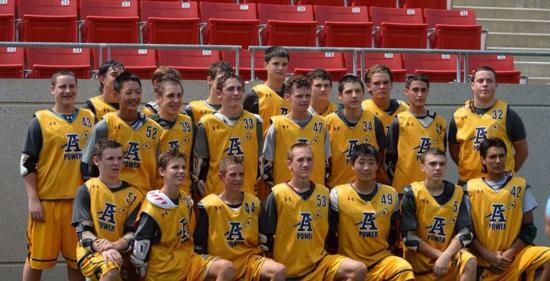 Registration is now open for the 2017 Albany Power Fall Lacrosse session for boys and girls. Please follow the link below to complete registration and submit deposit. 2017 Fall Registration: You will be redirected to the full registration after you pay the deposit. **We will attend a fall tournament that will be available at an additional cost. Boys Programs: will be listed as "High School" or "Youth/U13/U15"
alumni in Div. I, II, and III college lacrosse programs.